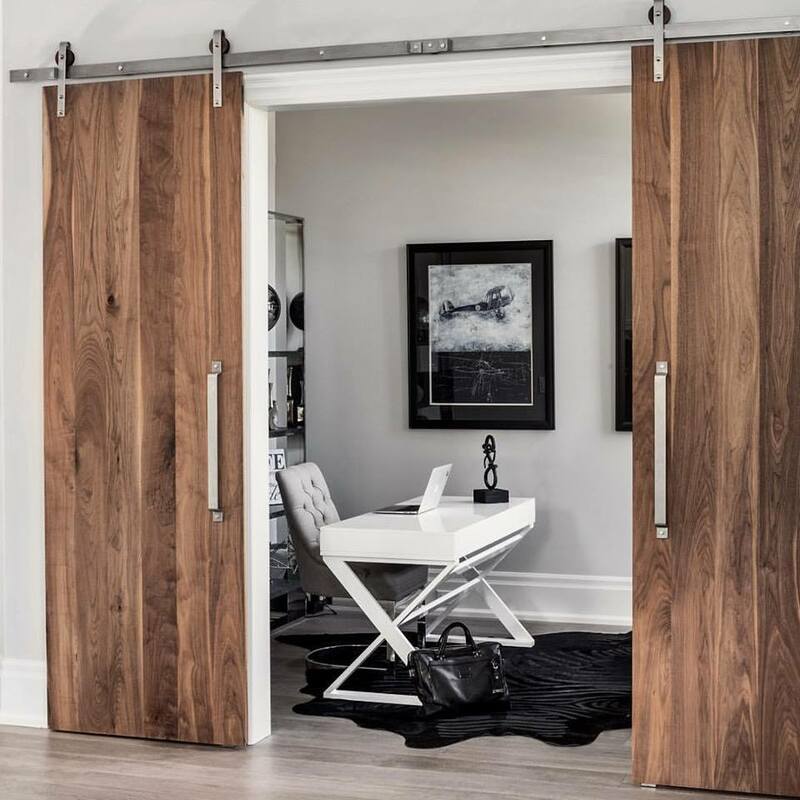 Sleek and modern, these walnut barn doors add beauty and style to this contemporary office. The hardware is our Artisan Series, which in this case, offers walnut wheels on stainless steel mounts. This offers the perfect contrast to the dark walnut and is a modern finish. REBARN 1611 Dupont Street, Toronto!